November is Lung Cancer Awareness month, and no matter how long you’ve been a smoker, it’s never too late to quit. Today, many hospitals and other healthcare facilities don’t hire smokers at all. Even if you’ve been grandfathered in, smoking could interfere with your ability to find another nursing job. Tobacco is detectable by buccal swabs for up to 60 days after your last cigarette, so not only do you need to quit before finding a new nursing positions in many places, but you need to quit well ahead of time. Quitting smoking is really hard — ask anyone who’s done it. Tobacco smoking is rather peculiar in that unlike other addictive substances, like alcohol or opiates, it doesn’t really do much of anything. Nicotine is a stimulant, but it’s rather mild. A lot of us got a “head rush” from our very first cigarette, but that effect diminishes quickly as you develop a nicotine tolerance. And yet, it’s really hard to quit. Nicotine is addictive, and smoking is a habit that’s ingrained in many people’s daily routines. The oral stimulation of smoking can also be a factor that makes it enjoyable. Plus, nursing is an incredibly stressful job at times, and the process of smoking is relaxing for many people. Unfortunately, it’s carcinogenic. It can also cause emphysema and other pulmonary problems. Quitting can extend your lifespan and prevent serious health consequences. Even with tools like nicotine gum, electronic cigarettes, and other alternatives that can help you phase out cigarettes, quitting is hard. It impacts your mood, you go into withdrawals, and the whole experience is really unpleasant. For something that doesn’t really get you “high,” tobacco has truly awful withdrawal symptoms. Remember that old iPhone slogan, “There’s an app for that”? There really is an app for everything, including quitting smoking. 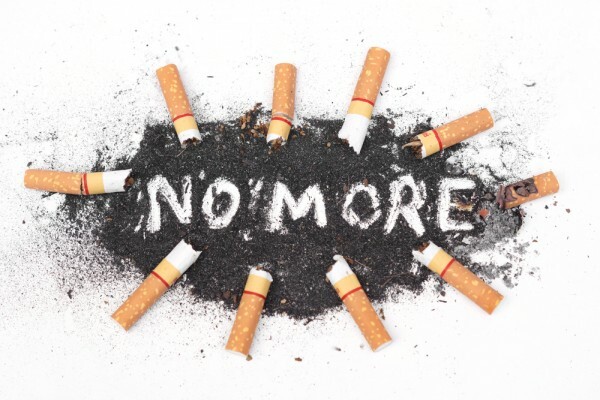 If you’re trying to quit, you might want to check out these five smoking cessation apps. Smoking cessation apps can definitely be a helpful tool to help you quit. However, it’s worth noting that these apps don’t really adhere to any standardized guidelines. Their efficacy has been called into question, but here’s the thing: the big problem is that they have low adherence rates. It’s still up to you to make the effort to follow through. On the Adherence Index, they have a score of only 12.9 out of 42.